MCE Coaching as part of a learning solution aims to enhance the learning process, increase self-awareness and stimulate development planning. It also contributes to the transfer of learning by improving leadership effectiveness and impact. By identifying and focusing on specific skills, coaching helps transform the individual’s abilities and produces a rapid shift in behaviours in the workplace. 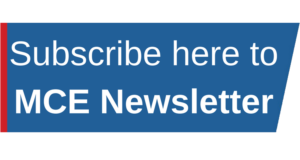 MCE has a network of experienced coaches and mentors who can provide a flexible range of options for you and your people as part of a learning solution. We offer a balanced range of coaching or mentoring support that is flexible and connected. This is an in-depth look with you into your strengths, qualities and preferences, helping you work out how to be your best. We use a psychometric assessment to add to the deep conversation with your coach, so you can discover more about your own potential. A Deep Discovery session takes up to half a day to explore your profile and preferences. This is included in some of our training programmes, however, it can also be booked independently as a ‘stand-alone’ discovery. Our programme coaching sessions are one-hour personal calls from a coach. You might have taken a deep discovery session and want to work on specific personal goals, or you might want to work with a coach on your own personal development agenda. We recommend between 3 and 6 initial coaching calls and then we review outcomes with you. Middle and Senior Leaders often benefit from a longer coaching relationship that focuses on developing specific leadership behaviours or thinking. Our Executive Coaches usually work with you on your personal style as a leader, challenging you to examine your beliefs and approach to your leadership, and helping you to create a style that will build your business. Some people want to get advice, guidance and knowledge on how to do a job. You are probably in a new role, or about to move into a new role, and are unsure about what you need to know, or how to find out what you need to know. A mentoring style of relationship is often the most suitable. This relationship is more focused on giving you job knowledge and information than in the coaching relationship. We will help you decide what style of relationship is best for you, and which member of our team can offer you a coaching and mentoring relationship. We are asked to help a work-team to develop a specific set of group skills, or action learning on a specific workplace issue. This is not linked to a training programme, but is a free-standing group coaching relationship to help a group of managers or employees work on a group related issue or need. Coaching or Mentoring? Which Is the Right Solution for You? Coaching is helping you to achieve your own potential and become a balanced and successful person. A coach will know how to get you to your very best. A coach is someone who can help you achieve your best through new ways of thinking and behaving. Our coaches often work with you to overcome any barriers or beliefs you possess, and that you want to change. Coaching is person centred and person focused. Mentoring is helping a person to prepare for the next career or job, through guidance, advice, sharing business knowledge, or helping you navigate your business or industry. Our coaches are focused on helping you to find and use your potential today, and work on your current personal development. Our mentors will be focused on helping you with business knowledge, management skills, and how to navigate your business world. Our experience tells us that sometimes you need a coach, sometimes you need a mentor, and sometimes you need someone who is both. Our aim is to help you succeed, and that could be as your coach, or as your mentoring, or as both! The focus is on helping you achieve your best through new ways of thinking and behaving. Our coaches often work with you to overcome any barriers or beliefs you possess, and that you want to change. A coach will know how to get you to your very best. Coaching is person centred and person focused. The aim is to help you achieve your own potential and become a balanced and successful person. Our coaches will know about you! Our mentors usually stay in contact with you as you move into a new or challenging role for a period of months. Our mentors will share their expert business knowledge, share experiences and scenarios, and challenge you to apply new ideas or skills at work. A mentor will know about your industry and your work. The aim is to give you knowledge to be more effective in your career and fill gaps in your knowledge. Our mentors will know about your business! 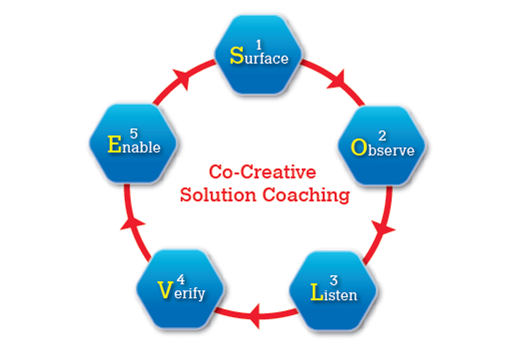 The SOLVE coaching process is our unique model. At MCE, we aim to enhance organisational effectiveness with a behavioural change. Whenever possible, we support our training programmes with group coaching or individual coaching. We also offer individual or group/ team coaching services, independently of any training programme. SOLVE can achieve this. It consists of 5 stages or steps, which may or may not happen in a sequential order. Surface – the goal of the session and the broader development objectives. Surfacing is also the ability of the coach to reveal what might not be visible to the coachee. Observe – spoken and unspoken messages related to emerging topics, issues, concerns and barriers experienced by the coachee. Our coaches observe without personal judgments. Listen – to help the coachee to formulate clearly the true essence of the matter in hand. Verify what has been shared can be validated. Discover what could be forgotten and which might be as important. Enable – a concrete outcome to work on practically and enable the coachee to succeed.